David S. Gordon, Ph.D., is a clinical psychologist in private practice in Los Angeles, California, working with children, adolescents, adults, couples, families and groups. An associate clinical professor in the Department of Psychiatry at the University of California, Los Angeles, he supervises residents, teaches a class in guided imagery techniques, and consults in the School of Medicine. 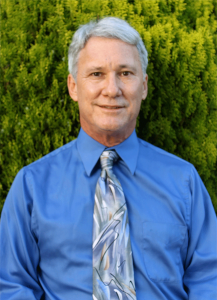 Dr. Gordon has been a member of the teaching faculty of the Southern California Society of Clinical Hypnosis, and has presented for the American Society of Clinical Hypnosis. He regularly teaches workshops for clinicians of all levels of experience in clinical hypnosis. A board member of the Los Angeles Society for Clinical Psychologists for many years, Dr. Gordon has also served as its president. 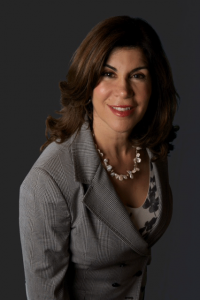 Cynthia Costas Cohen M.A., MFT is a licensed Marriage and Family Therapist in Beverly Hills, California, and is nationally known for her expertise in trauma. Versed in a variety of modalities, Cynthia has had extensive training in clinical hypnosis under the tutelage of Drs. Michael Yapko and Jeffrey Zeig. She is certified by the American Society of Clinical Hypnosis and is a certified EMDR practitioner. She is the Director of Training at the Antioch University Counseling Center in Culver City. In addition, Cynthia teaches and serves as President of the Board for the Trauma Resource Institute, a global organization that provides training in the treatment of trauma using an integrative mind-body somatic approach. In the past several years, her work with the organization has taken her to Mexico, Guatemala, the Middle East, the Philippines, and Nepal on humanitarian projects. 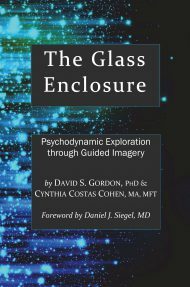 The Glass Enclosure is the second book on which Cynthia has had the pleasure to be the coauthor; she is also the coauthor of The 7-Day Energy Surge, a New York Times bestseller.